Do you need an anger management assessment or evaluation for a court, school or for an employer? We offer phone and internet assessments and evaluations by certified anger management professionals and specialists approved by the National Anger Management Association. Check with your attorney, probation officer, mediator or judge for approval for a phone/internet evaluation. Contact Lynette Hoy, President of the Anger Management Institute at: 708.341.5438 or 630.368.1880 for any inquiries or ordering needs. Once you order and pay for the evaluation through our shopping mall – you will be contacted by one of our certified anger management professionals for an interview and sent the assessment forms to complete. An evaluation will be mailed to you and at your request and written approval – to the official or agency requesting it. How does an anger management evaluation work? Once you order the service — assessments and inventories will be mailed/emailed to you or provided on an office visit. Phone or office consultation will be provided. If you are in the Chicago-land area we can provide office consultation. Include the What’s Good About Anger Online Certificate Course for court or employer ordered individuals. Order the course here. Contact Lynette Hoy, President of the Anger Management Institute at: 708.341.5438 or 630.368.1880 for any inquiries or ordering needs. ext. 1. 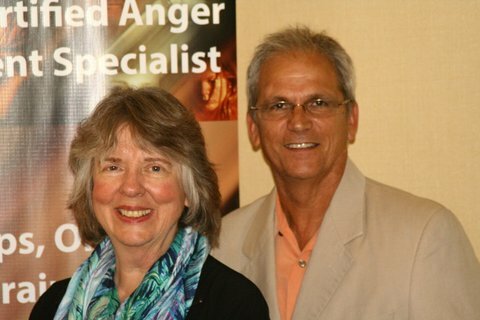 The Anger Management Institute has been providing anger management certificate course and evaluations for years now and has been approved by numerous courts and employers through-out the USA. Do you need to complete an anger management certificate course? Counselors– does your client need to take a course? Does an employee need to complete an anger management evaluation or certificate course? Counselors– does your client need to take a course? Include the What’s Good About Anger 12 week Certificate Course for court or employer ordered individuals. Contact Lynette Hoy- President of the Anger Institute and CounselCare Connection- at: 630.368.1880, ext. 1. You can order and pay for the Evaluation online in our shopping mall. (only $250.00) Once you order – you will be contacted by one of our certified anger management professionals for an interview and sent the assessment forms to complete. An evaluation will be mailed to you and at your request and written approval – to the official or agency requesting it. The Novaco Inventory is included in evaluation. Would you like to order anger management coaching instead?? This service includes an assessment, report, one hour training, book and workbook. Order here.